Love is in the air, and all that. Valentines day is this weekend and it seems the entire city is loved up with special romantic options being touted by one and all for this weekend. There are few places in Muscat that I go to where I can forget for a while that I'm actually in Muscat, and what I affectionately call "Planet Chedi" is one of those places. I'm not really sure what it is, it might be the tranquil water gardens dotted around the hotel, or it might be the attractively simple architecture, or perhaps they pump something into the air. I don't know, I just know I've always liked it, since long before this blog gave me opportunities to experience things at their invitation. Look at that bath... just perfect for 2 people! 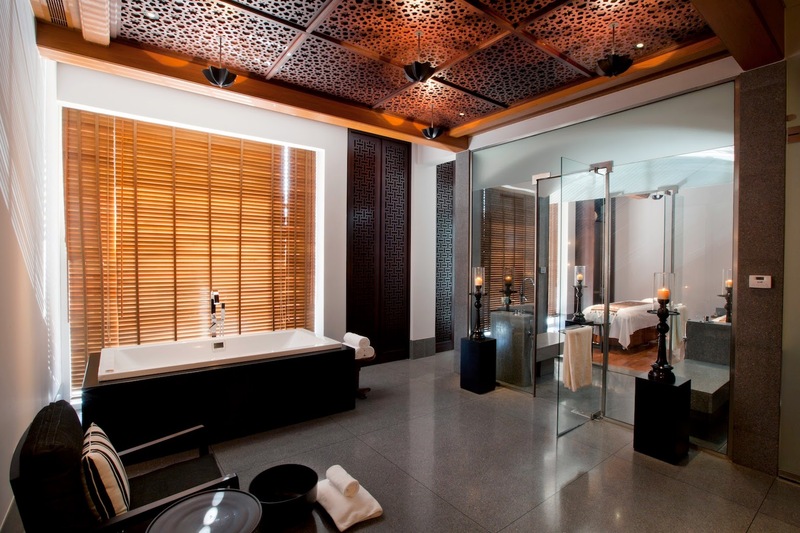 Indulge at The Spa: A 1 hour traditional ancient Balinese massage for both of you in a couples treatment room. I've actually had one of these Balinese massages there a few months ago and I am a little bit ashamed (or embarrassed?) to say that I fell asleep and started snoring - whilst on my front! It really was very relaxing. After the massage, have a soak in a bath filled with rose petals whilst having some bubbly and a few canapés. The price is RO 170 ++ for this couples treatment, and I'd say a great way to treat the misses and get some quality time too. 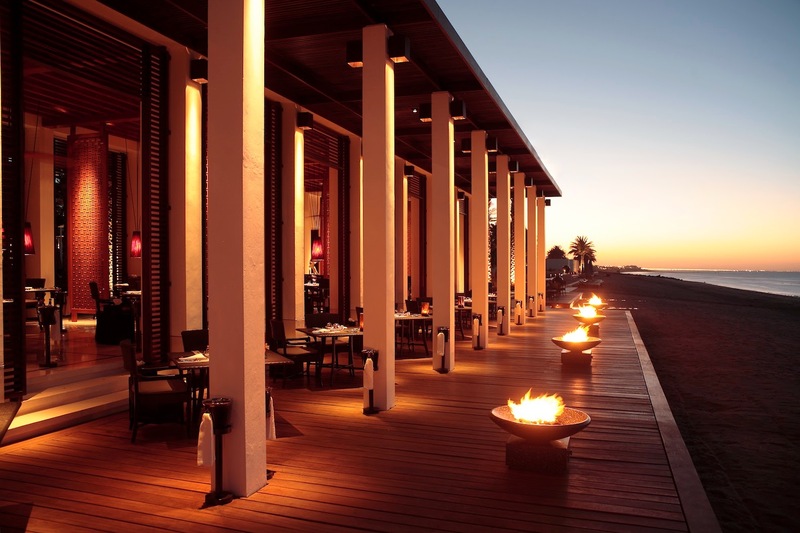 If Spa treatment's isn't your bag, you could always go for dinner at the Chedi on Saturday (14th) - they have two Valentines options - either al-fresco dining at the Long Pool Cabana which is mostly Japanese and Middle Eastern food - sort of in a tapas style or a 6-course set menu at The Beach Restaurant. The Long Pool Cabana option is RO 50++ per couple (or RO 70++ if you both want a glass of Rose bubbles). I highly recommend their cocktails, they're delicious! The Beach Restaurant option is RO 50++ per person and you can eat outside next to the sea, it's so close to the water.